The Human Services program prepares you to serve people in need through community social service organizations. The program has a core of courses that all students complete for the ATA degree in either the Generalist or Substance Use Disorder emphasis. The Human Services ATA degree provides a generalist education for employment in a wide variety of social service agencies. You’ll learn about human behavior and social problems and how individuals interface with systems to address these issues. The Substance Use Disorder emphasis program is available for students interested in focusing their studies on Chemical Dependency rehabilitation. This Degree is designed for students who wish to fulfill the education requirements for certification as Chemical Dependency Professionals through the Department of Health in Washington State. Assess client needs, plan strategies, implement services, and docu­ment relevant information in styles and formats consistent with agency requirements and best practices models. Establish a respectful, nonjudgmental, and professional therapeu­tic or supportive relationship with clients of Human Services and colleagues in a variety of settings. Provide quality client care by integrating interpersonal com­munications skills, relationship building skills, teamwork skills and problem solving skills in various social service and addiction treatment settings. In conjunction with other professionals, implement treatment plans that recognize and maximize individual and family strengths, re­spect ethno-cultural values, and address the needs and challenges of the individual and/or family. Work collaboratively with others (family members, program staff, representatives from other programs) to solve problems and re­solve conflicts. Integrate cross-cultural competencies with sensitivity toward uniqueness to better meet the needs of the clients served. Effectively communicate orally and in writing in ways that mini­mize conflict and maximize clarity with diverse people. Resolve conflict and crisis situations in a professional manner. Understand the pharmacological actions of alcohol and other drugs. Develop an understanding of effective drug and alcohol prevention and relapse prevention programs as well as local client, family and community drug prevention education opportunities. Successfully complete Washington State’s HIV/AIDS brief risk intervention (8 hours) training for those with addictive disorders. Demonstrate familiarity with substance abuse and addiction treatment methods, addiction placement, continuing care, and discharge criteria (including American Society of Addiction Medicine (ASAM) criteria). Learn and practice professional and ethical behavior which includes being respectful, reliable, culturally sensitive, respecting of each client’s personal boundaries, knowing the rules of confidentiality, and adhering to mandatory reporting laws. Apply key principles in developmental and abnormal psychology to the experiences of drug abusing and drug addicted patients (both youth and adult). Learn and practice current assessment and case management techniques. Demonstrate an understanding of the 26 focus areas that the Washington State Department of Health has mandated as essen­tial knowledge for those entering the substance abuse treatment field. Upon completion of the coursework, be prepared to become a Chemical Dependency Professional (CDP). 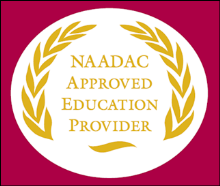 The Skagit Valley College Human Services Program is an approved academic provider through the NAADAC—National Association for Addiction Professionals. 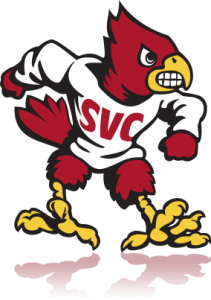 This status identifies the program as meeting nationally approved standards of education developed for the alcoholism and drug abuse counseling field. Program participants are assured that the contact hours or CEUs provided will be accepted toward national credentialing by the NAADAC and by many of the individual state licensing/certification bodies.